I read this magazine article that suggested you should take time to compile a Top Ten list of the people who have had the greatest impact or influence on your life. After I did so, I called an old friend on the telephone. Beano Cook is best known as an irrepressible and knowledgeable sports expert, especially on college football, and a frequent commentator and guest on ESPN Radio and sports talk shows in Pittsburgh. 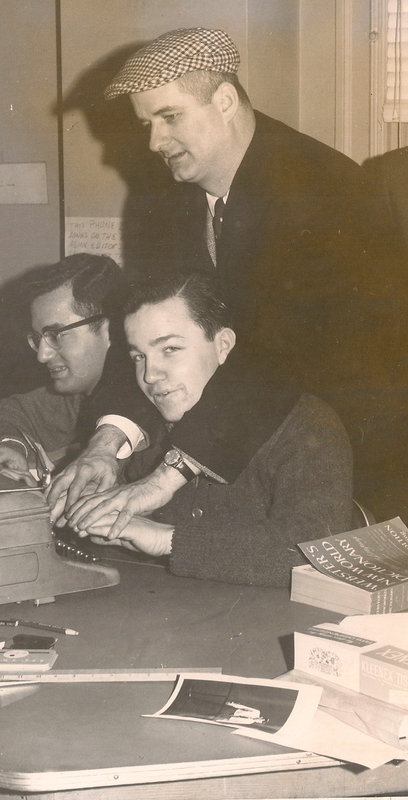 He was the sports information director at the University of Pittsburgh during my four-year stay (1960-1964) and we started a newspaper, Pittsburgh Weekly Sports, which we kept going for nearly five years. Then he went to work at ABC Sports in New York and I went to Miami to cover sports for The Miami News. “You’re third on my list,” I said. “Who’s ahead of me?” he came back, almost incredulously. “My wife and my mother,” I said. Thanksgiving is a great time to think about the people who have made the most impact on your life. Here’s my Top Ten list with some explanation for the choices. It was not easy to hold the list to ten, so I had some ties to squeeze in a few more deserving souls. Kathie and Jim O'Brien on the Danube River on Viking River Cruise of Europe in mid-July 2015. 1. My wife Kathleen Churchman O’Brien: She has been my soul mate for 51 years, including the eight months we dated. The day we were married – August 12, 1967 – was the best day of my life. She looks after me and spoils me. I am always trying to impress her, and I don’t think I have made a dent during all these years, but I will get up tomorrow and try again. She inherited a great work ethic and a sense of what’s right and I have benefited from that. She keeps me on course and has kept me out of trouble. When I am with friends and she walks into the room I always feel proud. She still lights up the room for me. Some of my friends have lost their mates and I worry about that because I would be lost without her. I met her at a party involving Pitt people after I came out of the Army and I was captivated by her brown eyes and innocent look. I’m not sure why she married me. It was risky business for sure. But she thought I had promise. “Mom’s the only one who would have married you,” says my younger daughter Rebecca, always out to boost her Dad. 2. 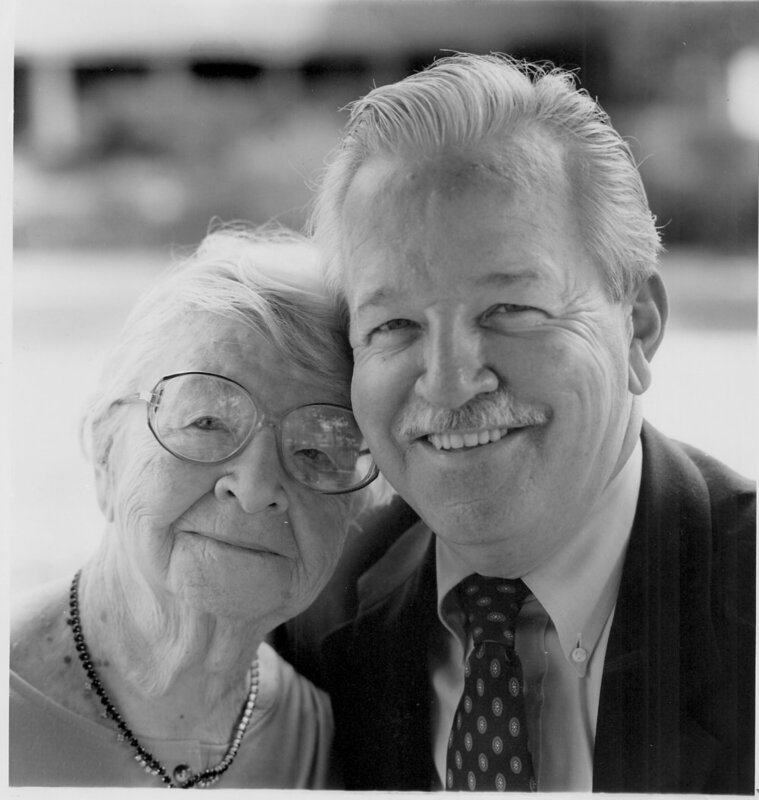 My mother Mary O’Brien: She always believed in me and thought I was in the right even when I wasn’t. She defended me throughout my life, especially in the early years. She had unconditional love for me and my siblings. I wasn’t always on the same page with my brothers and sister, but she was the mother each of us needed. She had a chameleon-like quality to be the mother each of her children required. She put up with a lot from my Dad – he was a constant challenge – but never demeaned him to us. She always called attention to his best qualities, and how much he loved us kids. He’s not on this list, but the older I get the more I realize that I learned a lot of good things from him, too. He went to work every day as a drill press operator at Mesta Machine Company in West Homestead and was liked and respected by his fellow workers. He taught the young ones how to do it right. He was a generous man and good to my friends. I guess he’s on my list, after all. 5. Alex Pociask and Bill Priatko: These are my best buddies. Both are former football players and I always feel safe in their company. Both have fostered great families and they have the proper approach to life. Their families come first in their lives. They are God-fearing men, real men’s men, yet they both have sensitive sides. I call upon them often for advice and guidance. I’m lucky to have them. Bill even includes me and my family in his daily prayers. That’s a real friend. Both of these men have many admirers for the way they conduct their affairs. They reach out to mentor young people. They are always there when I need support. 6. John Crittenden: He was the sports editor of The Miami News and he offered me a job in 1969. He was putting together quite a staff in the sports department of the afternoon newspaper and he gave me the assignment of covering the Miami Dolphins in their last season in the American Football League. It was in Miami that I also landed the assignment of covering the American Basketball Association for The Sporting News, and where I was offered the position to be the founding editor for Street & Smith’s Basketball Yearbook in New York. He was a demanding editor, but he helped develop me to turn out quality writing. He fired me for not following his direction at Super Bowl IV in New Orleans but we became good friends after I left Miami a year later and went to work in New York. He gave me a chance when several sports editors in Pittsburgh did not, not in the beginning. 7. Steve Arnold and Marty Blackman: These were two New York attorneys who became two of the early and most prominent sports agents. I met them when I was working in Miami and they represented the No. 1 draft choices of the AFL Dolphins and the ABA Floridians. For me, they were real agents because they came up with the job opportunities for me. They landed me jobs to edit and write magazines and books in New York and managed to strike contracts for me that were novel in those days and were financially rewarding. I saved the money from those endeavors for college and wedding funds for my daughters. They gained notoriety by holding out four New York Rangers from reporting to training camp, namely Rod Gilbert, Jean Ratelle, Brad Park and Vic Hadfield. They made more money for them, too. 8. Art Rooney: He was the owner of the Pittsburgh Steelers and the best man I ever met in the sports world. I first met him when I was 19 and the Steelers were practicing in primitive surroundings at the South Park Fairgrounds. I didn’t have grandfathers when I was a young man so I sought out Mr. Rooney for that kind of company. I frequented his office just to talk to him, not just to interview him. He was generous with his time and his thoughts. I learned so much from this kind man. He got it. If you spent one day with him you should have learned enough about public relations to last a lifetime. I blame him for the fact that I go to far too many funerals these days. He taught me why you do that and why it’s important. He once said to me, “You’re a real Pittsburgh guy.” For him, there was no greater compliment. 9. Frank Gustine: He owned a restaurant in Oakland on the Pitt campus and not far from Forbes Field and operated it for more than 30 years. He had played for the Pirates and knew everyone by their name or hometown. He was a kind and generous man. I would have never misbehaved in his restaurant because I wouldn’t want to disappoint him. He introduced me to so many people in the sports world. He was especially kind to my mother when she was working at Pitt, looking after the desk at the women’s dorm just above Gustine’s Restaurant. He would call on holidays such as Thanksgiving just to offer his best wishes. I try to do things like that in his memory. He was the perfect host and the perfect role model for anyone who wants to succeed in the baand restaurant business. I used to urge him to sing “I Left My Heart in San Francisco” when it was getting late on a Saturday night at Gustine’s. 10. Irv Rothman: He was the faculty representative and director for the student publications at the University of Pittsburgh during my days there. He was from Squirrel Hill and we were both alumni of Allderdice High School. He championed my cause in so many directions at Pitt and was responsible for me getting national and campus recognition. He nominated me for so many student honors – Druids and ODK and Pi Delta Epsilon awards – and made me feel better and more confident of my abilities and promise. I am lucky to have some other friends these days. There were others who helped me along the way. Doc Carlson, a Hall of Fame basketball coach at Pitt, gave me good advice during my student days at Pitt. Pittsburgh sports writer Bob Smizik was a constant challenge and forced me to be at the top of my game, in college and as professional sports writers. I would suggest that you now take the time to develop your own list of people who had the greatest impact or influence in your life. Happy Thanksgiving. I’m grateful for everyone who reads my stories. *All Photos courtesy of Jim O’Brien - This is an updated version of an earlier column by Jim O’Brien for The Valley Mirror.